Given the continued uncertainty in the UK surrounding the ratification of the Withdrawal Agreement, as agreed between the EU and the UK on 25 November 2018 – and last week’s call by the European Council (Article 50) to intensify preparedness work at all levels and for all outcomes – the European Commission has today started implementing its ‘no deal’ Contingency Action Plan. This delivers on the Commission’s commitment to adopt all necessary ‘no deal’ proposals by the end of the year, as outlined in its second preparedness Communication of 13 November 2018. Today’s package includes 14 measures in a limited number of areas where a ‘no-deal’ scenario would create major disruption for citizens and businesses in the EU27. These areas include financial services, air transport, customs, and climate policy, amongst others. The Commission considers it essential and urgent to adopt these measures today to ensure that the necessary contingency measures can enter into application on 30 March 2019 in order to limit the most significant damage caused by a ‘no-deal’ scenario in these areas. These measures will not – and cannot – mitigate the overall impact of a ‘no-deal’ scenario, nor do they in any way compensate for the lack of stakeholder preparedness or replicate the full benefits of EU membership or the terms of any transition period, as provided for in the Withdrawal Agreement. They are limited to specific areas where it is absolutely necessary to protect the vital interests of the EU and where preparedness measures on their own are not sufficient. As a rule, they will be temporary in nature, limited in scope and adopted unilaterally by the EU. They take into account discussions with Member States and are in addition to the preparedness measures that have already been taken, as set out in the two previous preparedness Communications. The Commission has consistently put citizens first throughout these negotiations and throughout its ‘no-deal’ preparedness and contingency work. Today’s Communication invites Member States to take a generous approach to the rights of UK citizens in the EU, provided that this approach is reciprocated by the UK. • A temporary and conditional equivalence decision for a fixed, limited period of 12 months to ensure that there will be no immediate disruption in the central clearing of derivatives. • A temporary and conditional equivalence decision for a fixed, limited period of 24 months to ensure that there will be no disruption in central depositaries services for EU operators currently using UK operators. • Two Delegated Regulations facilitating novation, for a fixed period of 12 months, of certain over-the-counter derivatives contracts, where a contract is transferred from a UK to an EU27 counterparty. • A proposal for a Regulation to ensure temporarily (for 12 months) the provision of certain air services between the UK and the EU. • A proposal for a Regulation to extend temporarily (for 9 months) the validity of certain aviation safety licences. • A Delegated Regulation to include the seas surrounding the UK in the provisions on time-limits within which entry summary declarations and pre-departure declarations have to be lodged prior to leaving or entering the Union’s customs territory. • A proposal for a Regulation to add the UK to the list of countries for which a general authorisation to export dual use items is valid throughout the EU. The Commission has today adopted the following acts in the area of EU climate legislation in order to ensure that a ‘no-deal’ scenario does not affect the smooth functioning and the environmental integrity of the Emissions Trading System. • A Commission Decision to suspend temporarily for the UK the free allocation of emissions allowances, auctioning, and the exchange of international credits with effect from 1 January 2019. • An Implementing Decision to allow an appropriate annual quota allocation to UK companies for accessing the EU27 market (until 31 December 2020). • An Implementing Regulation to ensure that the reporting by companies differentiates between the EU market and the UK market to allow a correct allocation of quotas in the future. 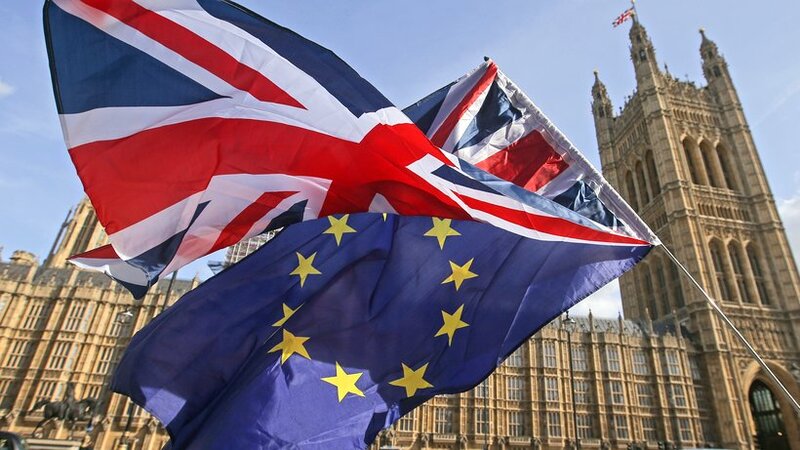 • If the Withdrawal Agreement is not ratified before 30 March 2019, there will be no transition period and EU law will cease to apply to and in the UK as of 30 March 2019. This is referred to as the ‘no deal’ or ‘cliff-edge’ scenario.